Let’s face it, cruising is addicting. And the problem with any addiction is that it costs money. Thankfully for us, cruising is one of the cheapest vacations out there. If you just need to get on the ship for a quick getaway, it’s possible to find deals for less than $300 per person. Still, not everyone just has $300 laying around. And if you want to make that cruise a little longer, or upgrade your cabin, or travel with a family, then it’s not unusual to see total price of your cruise rise to several thousand dollars. So when it comes to take a cruise there are two ways you can get the funds. You can either scrimp and save — finding ways to cut your budget — or make more money to put toward your cruise. We’ve rounded up more than 20 ways that you can make extra money for your cruise, without having to take on another job. All of these methods give you an opportunity to earn some cash in your spare time. Do you buy things online from sites like Walmart.com, Target, or BestBuy? Then Paribus can earn you money without you having to do any work. The app is simple. It connects to your email, scanning receipts of things you bought online. It then constantly price checks those items. If the app finds something that is now cheaper, it automatically files with the merchant for a refund of the price difference. Paribus takes 25% of the refund amount and sends the rest to you. Basically, it’s free money that’s returned to you without having to do a thing. If you live in a major city, then you may have heard of Instacart. It’s a grocery delivery service. Workers go grocery shopping and deliver items to customers, earning up to $25 an hour for their work. Best of all, the work is flexible, allowing you to work whenever is convenient for you. You will need to live near a major city to work. The good news is that you can also work for Instacart as a shopper even if you don’t have a car. You’ve likely heard of rideshare services like Uber and Lyft. With these services you drive you own car, like a taxi service. You can make good money (up to $35 per hour) and score bonuses the more you drive. You can also work whenever you want — 24 hours per day — and you don’t have to be in a major city as the services are available just about anywhere. This is by far the best-paying job of our list and the one with the most people currently working. It’s also a favorite because you can get paid quickly, instead of having to wait until the end of the month to see your earnings. You’d be surprised at how much income you can make with blogging. You’d also be surprised at how simple it is to get started. If you’re going on a cruise, then it’s obvious you have an interest in travel and cruising in particular. Blogging about your experience, cruise news, planning, packing, and more is a fun way for any cruise fan to get ready for their trip or relive it once it’s over. What’s also nice is that your blog can earn you money even when you aren’t working on it. With advertisements, you earn as visitors read your site, even if it’s in the middle of the night. 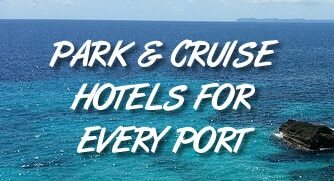 For more on getting started writing a travel blog, read how we earned more than $8,000 a month writing about cruises. Do you have a computer and headphones? Then you can get started today making money as an audio transcriptionist. Rev.com is a cool site where users can upload audio they need transcribed. It’s everything from presentation videos to the minutes of a business meeting. Rev’s transcriptionists then login and pick and choose the jobs they want. You have full control over when and how much you work. Pick and choose the work that’s most appealing to you… or simply the jobs that pay the best. You do have to take a transcription test before you can start getting paid, but it’s fairly straightforward. Remember the days when you used to get a few dollars for to answer a survey from a person in the mall? Nowadays surveys have moved online, which gives you the ability to earn bits of cash or gift cards for answering a few questions. In addition, marketing companies have moved well beyond simple surveys and will pay you for being part of focus groups, searching online, watching videos and playing games. It’s all things you’ll do anyway, so why not get paid for it? Best of all, many companies have free cash bonuses just for signing up, and you can sign up for multiple sites, increasing your earnings. Here are a few companies offering surveys and other opportunities: American Consumer Opinion, InboxDollars, Swagbucks, Pinecone Research, ProOpinion, Harris Poll Online. With the website UserTesting.com, you can earn up to $10 for a 15-minute session to give your opinion on websites and apps. The site claims Google, Apple and eBay as customers. No, you don’t need to be an expert with the computer to be a member. In fact, people of all ages and abilities are welcome since e-commerce sites want to get feedback from all sorts of users — not just web-savvy shoppers. Getting started is pretty simple. Sign-up with your email address, download the screen-recording software, and submit a sample. The company is looking for reviewers who will talk through their thinking while browsing a website, so be sure to give details aloud as you review. With the boom in the Internet has come a massive need for content and images. Today there are dozens of sites that allow you to upload images to sell online to websites, news organizations and blogs. You upload the images and the site takes care of the selling. In return you get paid every time someone buys your image. With enough images you can actually take this from a part-time opportunity to a full-time gig. But it’s not as simple as taking a few snapshots and calling it a day. The stock-photo websites can be picky. We tried to put our photos for sale and weren’t approved. If you have an eye for photography, however, you can make some decent cash. Some sites pay up to 50% of their earnings for each download to the photographer. The biggest companies in the field are iStockPhoto.com and ShutterStock, but there are dozens of lesser-known sites that generally pay photographers higher rates per download. If you want to learn more, check out this cool site that compares all the stock photo sites. Fiverr.com is an online bazaar of random tasks. The premise is simple. You sign up, offer a service starting at $5, and then users hire you. For example, if you are good at graphic design, you might create a logo for someone. The things you can do on Fiverr are limitless. There are “normal” tasks like resume writing, photo editing, translation services, and voiceovers. But there are also more unusual tasks you can do. There are women who will sing Happy Birthday while wearing a bikini, psychic readings, and even people offering to be your fake boyfriend/girlfriend. Fiverr definitely has its unusual side, but if you have a skill to offer, then it’s a place where you can pick up a few extra bucks. One key to earning more: Offer “upsells” for more money than just $5. Are you bilingual? Then you have a skill that’s in demand. As the world gets more connected, the need for translation is greater than ever. And thanks to the internet, it allows people like you to make income from home. To get started, check out sites like Gengo.com, which pays its translators between $0.03-$0.08 per word. You’ll have to take an initial test to get started, so don’t think you can just sneak in by running the text through Google Translate! We all know that in the past several years banks have tightened up lending. That’s helped lead to the rise of peer-to-peer lending networks. It’s a win-win; borrowers receive loans that a bank wouldn’t give them (or at a lower interest rate) while lenders receive higher interest rates than they could earn otherwise. Sites like Prosper.com allow you to sign up and loan small amounts of money to other people, while earning a healthy interest rate. Prosper takes care of all the back-end paperwork and documentation. You loan the money and earn interest. The rates can vary from around 5% to 25%, depending on credit worthiness of the borrower. The amount you loan is up to you. Loans are crowdsourced, so if someone is borrowing $5,000, it may be there are 100 lenders putting up $50 each. Being able to diversify helps lessen your risk of loss. Prosper takes care of collecting monthly payments and distributing them to lenders. Are you a fashionista? Do you buy clothes, shoes or designer handbags, use them for a season and then let them sit in the closet? If so, then you could earn some serious cash with Tradesy. Tradesy is an online outlet for selling d esigner goods. Users with old things to sell sign up and list their items. Buyers come to the site to buy high-quality items at discounts to retail. Tradesy acts as the middleman. They’ll send you a box to ship in and take care of payment. In return, the site takes a 9% commission on what you sell. If you’re a saver, then you know interest rates pay next to nothing. However, the bonuses on opening up accounts are still healthy. The rules are usually pretty simple. Open up a checking or savings account with a bank while keeping an average balance above a certain level for 90 days and the bank will deposit a bonus into your account. Some offers also require you direct deposit at least one item per month. One of the best places to check offers is NerdWallet. They have roundups of all the latest bonuses you can qualify for. Bonus amounts can range from $100 all the way to $500. The rise of educational sites like KahnAcademy.com has created a massive shift in how people learn. Now practically any topic can be learned online. But that doesn’t mean everyone can learn from watching a YouTube video. There is still a need for one-on-one instruction. To fill that need, a number of tutoring sites are available that offer online instruction to students. These sites are always in need of instructors. Tutor.com is one well-known site, and has a need for people to tutor in everything from Geometry to German. You’ll need to be a college sophomore or higher to apply, and many subjects require a degree. Do you shop at Walmart, Target, Kroger, or nearly any well-known retailer or grocery store? Then you should be earning cash back on what you’re already buying. With Ibotta.com, you earn rebates at stores by completing small tasks like taking a survey or watching a video and then uploading a photo of your receipt. Many of the rebates are pretty substantial too. For example, you can earn $10 back on $100 spent through Ibotta at Macy’s or Nike.com. What we like most is that the rebate is paid in cash to your PayPal account. It’s not in the form of a gift card. BuddyTruk isn’t available everywhere just yet, but if you live in Austin, Chicago, or Los Angeles and have a truck, then you can make up to $40 a hour. Think of the site like Uber for people with trucks. You download the app and can see people in the area that need a truck to help move something like a couch or make a pick-up from IKEA. It’s still in the early stages, but looks like a promising way to pick up some extra cash on the weekend. Note that you will have to go through a background check to get started and be approved. If you have extra time, then you can earn money helping other people cross items off their “to-do” list. TaskRabbit is a cool site that offers on-demand household help. People who have a task they want to outsource sign up and hire “taskers” from the site. To be a tasker you need to undergo an identity and background check. You’ll also need to live in or near a major U.S. city for most tasks. If you don’t, there are still some remote jobs you can do like research, graphic design and data entry. Similar to the contests mentioned earlier where you can create slogans to win prize money, there are also several sites with contests to create company names and logos. Competition is usually pretty fierce with hundreds of entries for each contest. That said, if you win you can earn anywhere from $50 to several hundred dollars. To get started, check out any number of sites, including LogoForce.com, NamingForce.com, or SquadHelp.com. Each of them are free to join, so there is no risk and the potential to earn some serious cash. Research panels have moved online, allowing you to participate from anywhere in the world. Best of all, if you are selected for a panel, you can earn some pretty hefty amounts. Payments of $50 to $150 are usual, but even up to $250 is possible. To get started, sign-up and create a profile on any number of research panel websites. Signing up for more than one will increase your chance of being picked for a panel. Try FocusScope.com, 2020Panel, MediaBarn Research Services, or MindSwarms.com to learn more about opportunities and start earning money. Advertisers and consumer researchers love to know how you use your cell phone. There are a couple of companies out there that will pay you to download their app (which anonymously tracks your phone use) and let it run in the background while you go about your daily business. In return, you will earn points that can be redeemed for gift cards to places like Amazon, Target and Starbucks. To get get started, sign up at MediaInsiders.com or Nielsen (of the Nielsen ratings fame). Amazon’s new Flex program is only in a few areas, but is rapidly spreading to major cities across the country. Think of this program like Uber/Lyft for Amazon’s packages. You deliver packages for the company’s Prime Now services (which delivers certain items in two hours or less) and get to work when you want. The work pays up to $25 an hour. You’ll need to be 21 years old to sign-up and have a car. Have more ways to make money for your next cruise? Let us know in the comments below. Like this list? Share with your friends via Facebook, Reddit, or Twitter!